This is a rectangular Pikes Peak porcelain sign. This particular Pikes Peak sign is red with beige text. 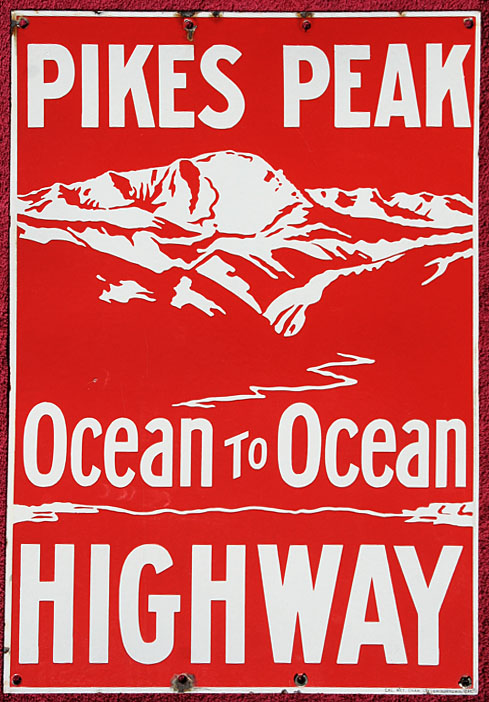 It reads, “Pikes Peak, Ocean to Ocean Highway” and features a mountain range with a river in the center.